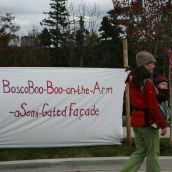 K'JIPUKTUK (Halifax) - Boscobel on the Arm, a posh new subdivision being developed where once there was an urban forest, does not sit well with residents of Jollimore, an old community nestled on the North West Arm. 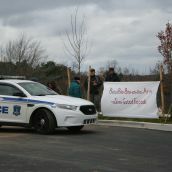 About forty people gathered at the site to express displeasure with the new development put in by the IMP Group, owned by Nova Scotia billionaire Ken Rowe. 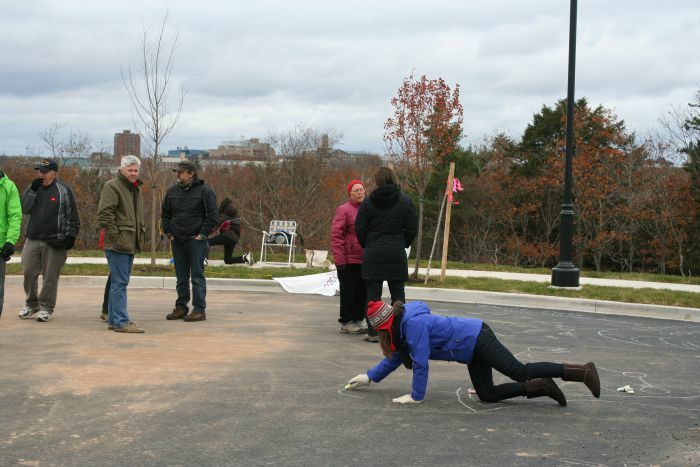 Some residents used chalk to write messages to HRM council and staff on the pavement of the brand new cul de sac. 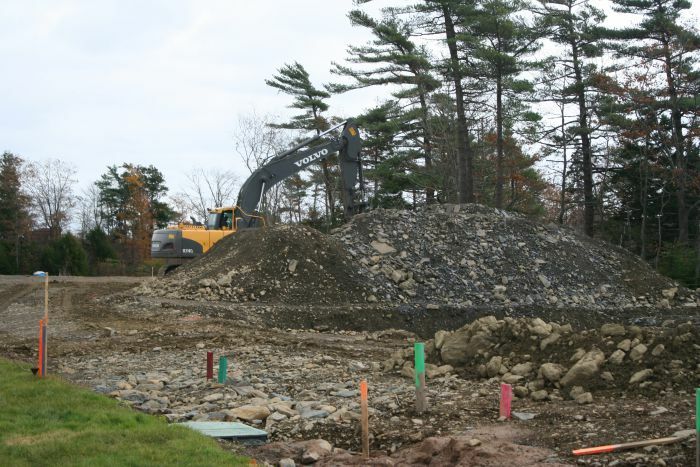 Residents believe HRM policies that allow a developer to clearcut 250-year old Hemlock stands and develop huge homes without any consultation with local residents are wrong. "There was no community involvement or knowledge of the proposal," said Roger Davies, one of the organizers of the protest. 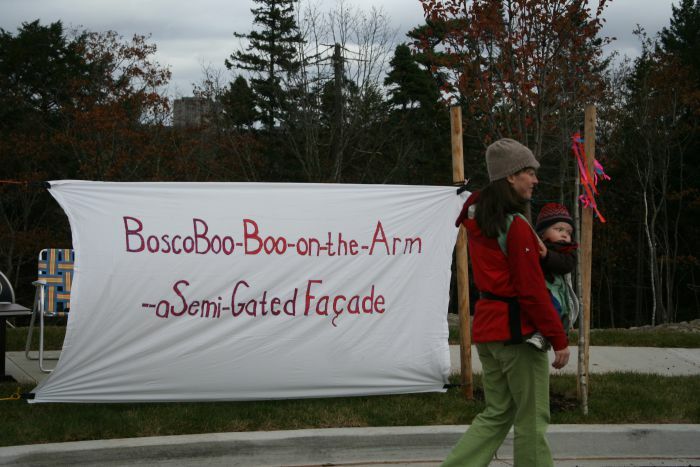 "We just woke up one morning in March 2012 to the sounds of industrial-scale logging equipment clearcutting what used to be a beautiful heritage urban forestry site with beautiful huge hemlocks." 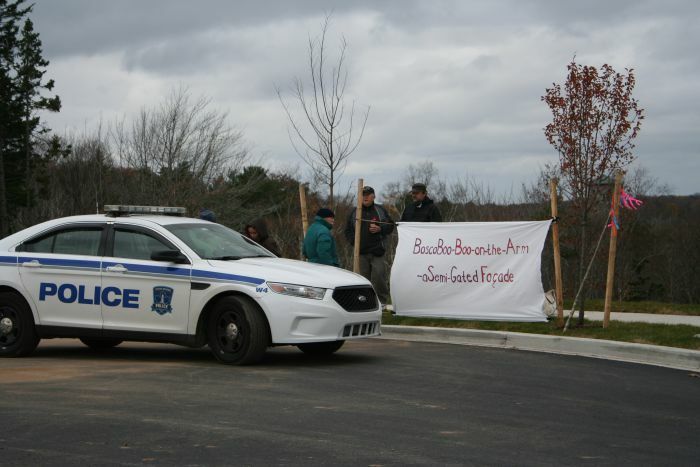 Linda Mosher, HRM councillor for the area, told the Chronicle Herald at the time that no rules were being broken and that property owners have the right to clear vegetation from their lands without a permit. 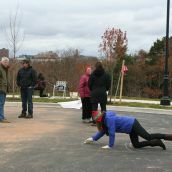 While emphasizing that he is not against development, protester Steven Kempton believes it is time for HRM to revisit those rules and find better ways to alert residents to proposed new developments. "It needs to be better advertised, the rules need to be changed," said Kempton. "Development should be done in keeping with the environment. Not to come in here and clearcut old growth trees and bulldoze and moonscape the place." 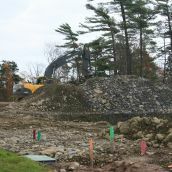 Some life-long residents are particularly upset with how they believe IMP bulldozers damaged a centuries-old cemetery near the entrance of the new development. Three brothers, Steven, George and Dan Jollimore, are angry that they were not consulted when the new entry road was put in. 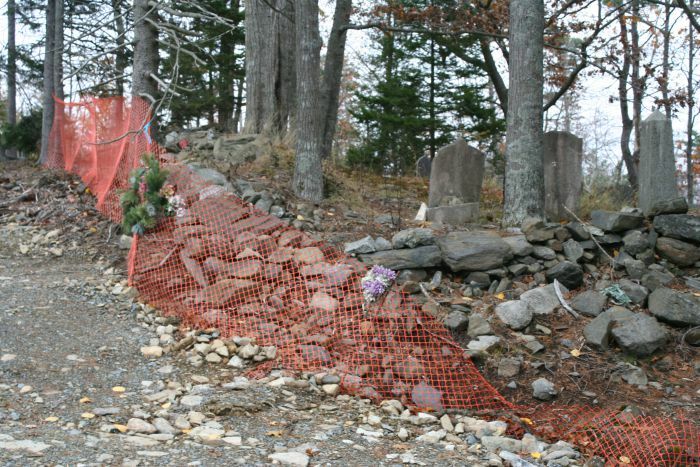 Their family plot is in that cemetery, and work on the road caused an old wall to cave in. 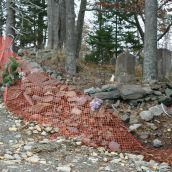 They also believe graves were disturbed during construction. 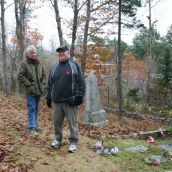 After the road was put in they found some fragments of a casket that dated back to the 1850s, Steven Jollimore told the Halifax Media Co-op. 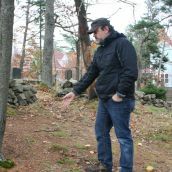 "Back in the 1800s it was common practice that children who died before they were baptized were buried just outside the walls. We tried to bring it to the developer's attention, and they just didn't want to hear about it. We are still trying to get answers," Steven Jollimore said. 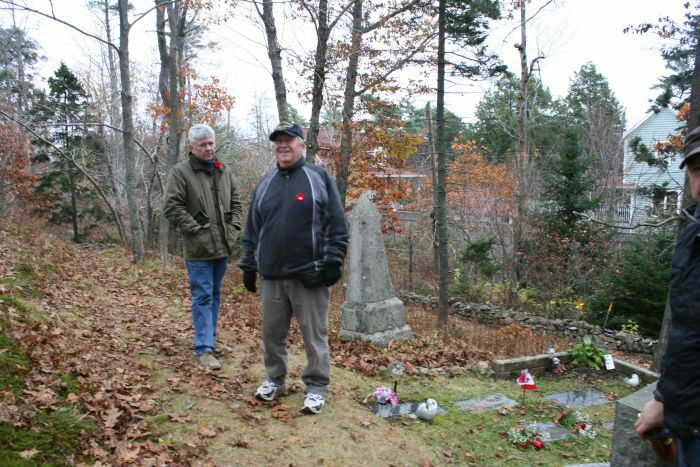 "Putting the road well away from the cemetery would have saved everybody a lot of headaches," said Dan Jollimore. 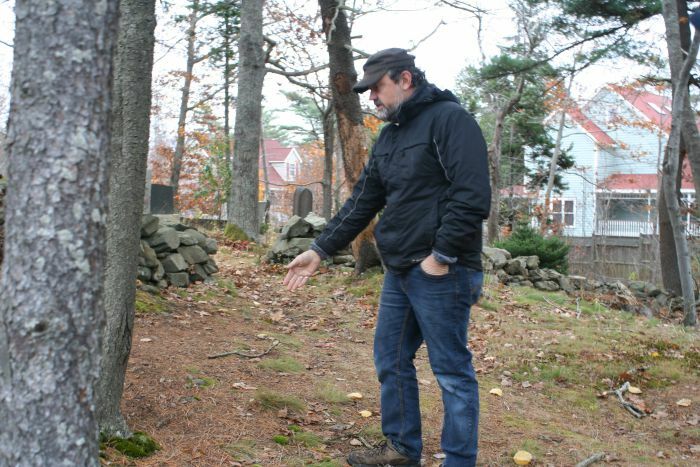 "But the closer the road is to the cemetery the more money they are going to make."